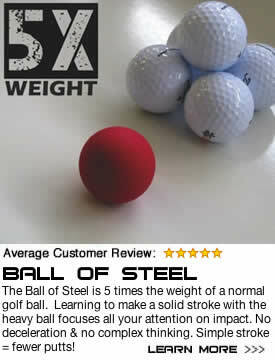 Training with the Ball of Steel will put energy into your stroke. More than 100 Tour players have this year! Make sure you download the V1 App for your iPhone, iPad, or Android device to analyze your putting. This will help show your improvement with the Ball of Steel.